There are many variations on the procedure of soft tissue basal joint arthroplasty. 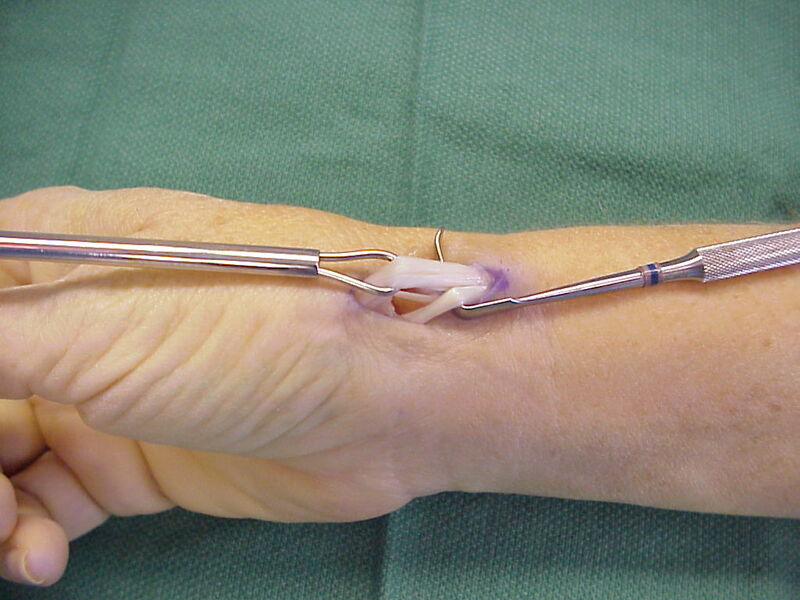 In this case, the abductor pollicis longus tendon is split with a custom tendon stripper and used as a distally based graft for ligament reconstruction and interposition. 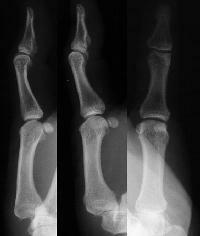 Incision from the thumb metacarpal base to the radial styloid. 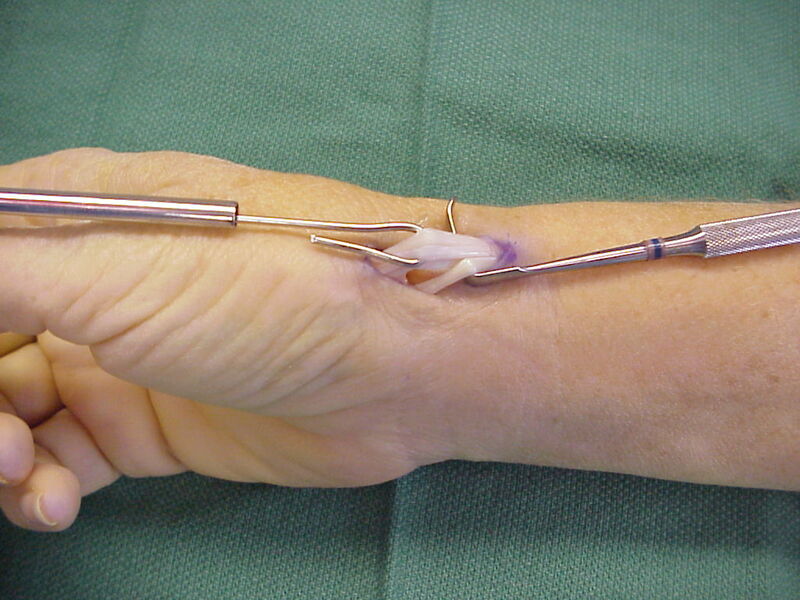 Here, a custom tendon stripper allows the procedure through this single incision. 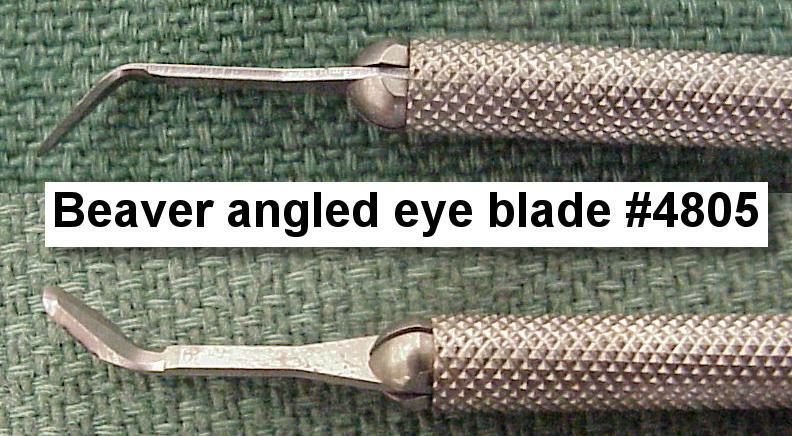 The stripper was fashioned from the handle of a tonsil snare and a length of a K wire bent into a loop at the end. 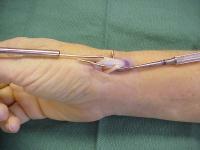 The free end of the wire can be withdrawn into the shaft of the snare, closing the loop. 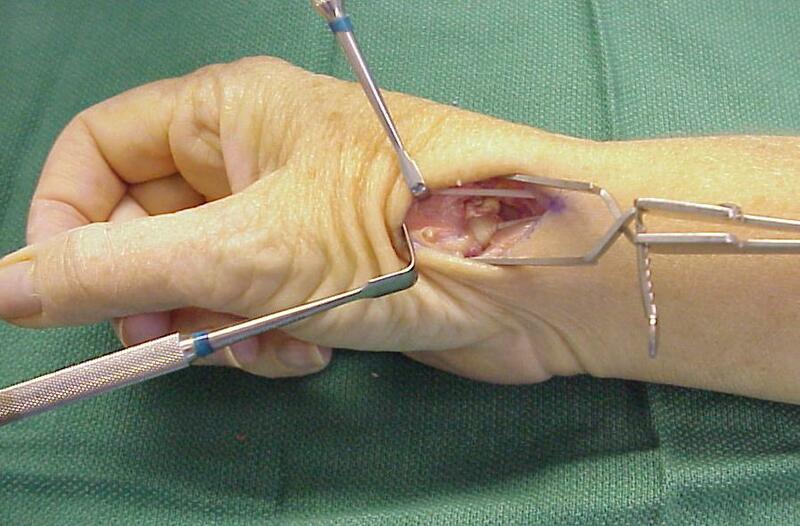 The stripper is passed around the ulnar/dorsal half of the abductor tendon. 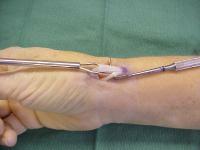 and advanced while gentle traction is placed on the section of tendon being harvested. 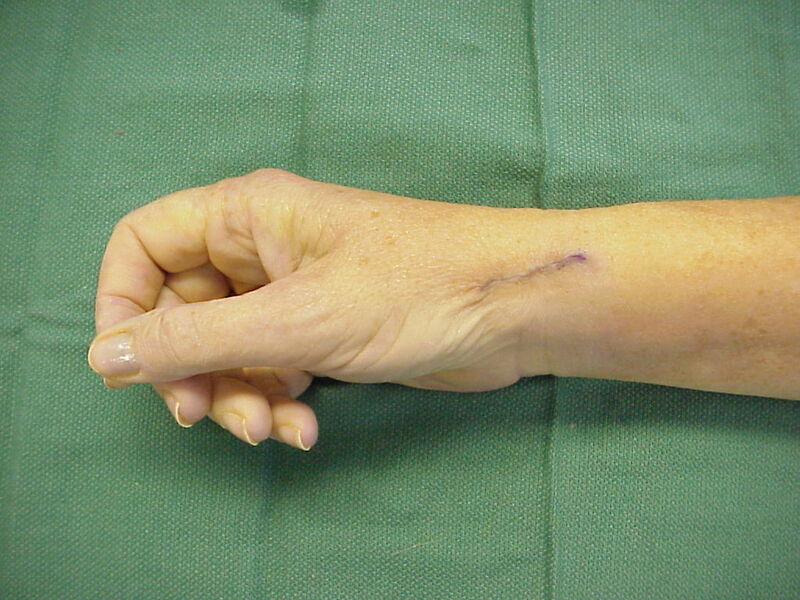 The distally based tendon slip separates proximally at the musculotendinous junction. 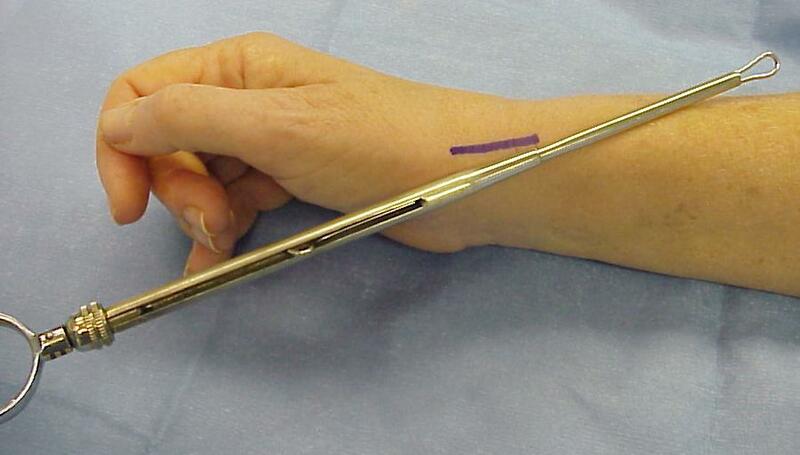 Trapeziectomy is facilitated with an angled scalpel blade. 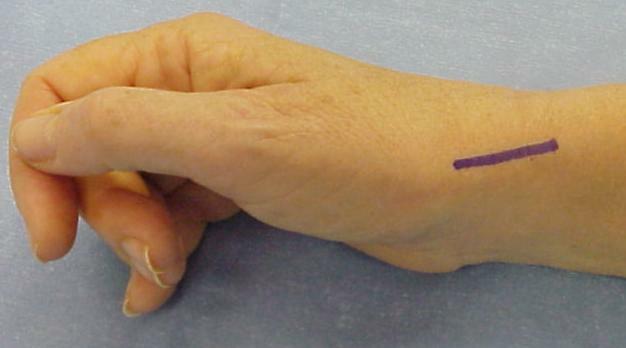 This slip is passed around the flexor carpi radialis, around the intact APL, then pleated into a deep spacer.